Why should educators be connecting their students globally? What literature, research and opinions can you gather and synthesise to support an argument for this? 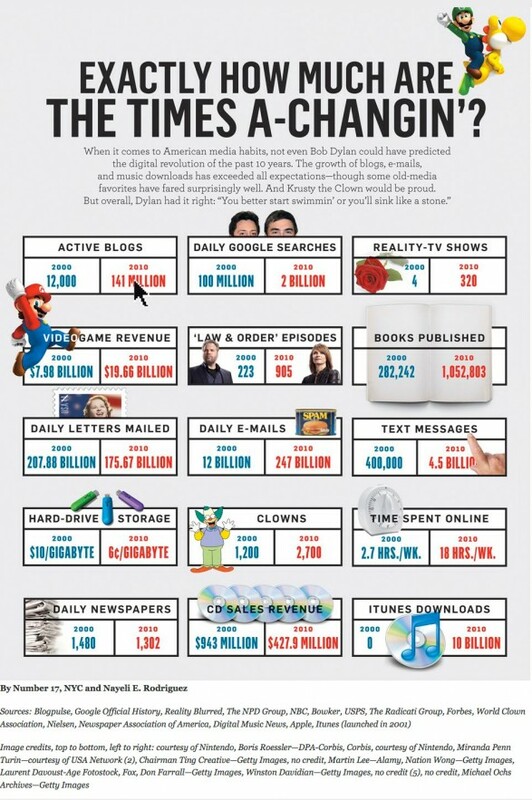 If we take a look at this infographic, what are your initial thoughts about the way technology is going? Every minute millions of people are using the internet and digital technology in some way – some for personal use, some for work, some for connecting with others. In a 21st Century, we need to be teaching our students how to globally connect and the skills associated with these. We are living in an ever increasing digital and globally connected world, and our students need to be literate members of it. I want to focus on the skills associated with living and working in the 21st Century. As we can see from this table from Fishtree EdTech, the skills required by a 21st Century member of society link to being globally connecting. In particular, it is essential for members of a 21st Century society and workforce to have a cross-cultural understanding and be able to effectively communicate, not just with people in their direct community, but with all others involved – whether it be within the company, or internationally. Collaboration needs to extend beyond ‘group work’ in the classroom, and start making authentic connections with real-life situations, that is, collaboration with students, teachers and information from around the world. Globally connecting provides exciting opportunity for students, especially when teamed with Project-based Learning (PBL). It gives students an opportunity to practice these essential 21st Century learning skills, but also engage with other ‘real people’ and sources – and form emotionally engaging and authentic connections to what they are learning. From this list we can see that all these attributes that teachers require link somehow to being ‘globally connected’ – a skill that we need to have to be professional educators, and skills we need to pass onto our students so that they may be a well rounded member of a 21st Century workforce and society. We would most certainly be doing our students a disservice if we did not at least attempt toand trying to connect our students globally and guide them through the skills associated with it. It’s in our faces the whole time, media, social media, the internet, new technological advances… the world is not the same place it was 5, 10, 15 years ago. It is no longer enough to teach students the content from a text book and to tick off a checklist of outcomes. We, as educators, must provide our students with the best opportunities and prepare them to be the best members of society that they can be. And when society is becoming increasingly ‘global’, we need to prepare them with all the tools we have to fight and succeed in their fields of life. 15 Characteristics of a 21st-Century Teacher (2015) Available at: http://www.edutopia.org/discussion/15-characteristics-21st-century-teacher?utm_source=twitter&utm_medium=socialflow (Accessed: 14 October 2015). Britt (2001) In an Internet Minute. Available at: http://bwatwood.edublogs.org/2015/01/20/in-an-internet-minute/ (Accessed: 14 October 2015). Connects, I. (2015) Global PBL projects connect students across continents. Available at: https://www.iste.org/explore/articleDetail?articleid=322&category=ISTE-Connects-blog&article= (Accessed: 14 October 2015). Connects, I. (2015) Global PBL projects connect students across continents. Available at: https://www.iste.org/explore/articleDetail?articleid=322&category=ISTE-Connects-blog&article= (Accessed: 21 October 2015). 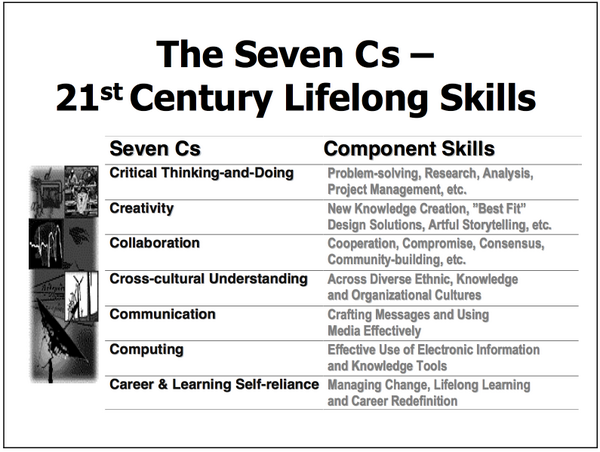 EdTech, F. (2015) ‘The 7 C’s of 21st Century Lifelong Learning Skills http://t.co/VS3MN4PreH #TTOG #cpchat #1to1techat’, Twitter, 24 April. Available at: https://twitter.com/fishtree_edu/status/591715783648116739 (Accessed: 14 October 2015). Global Connections for Teachers and Students (no date) Available at: http://digitalhumanlibrary.com/connect-with-teachers-and-students/ (Accessed: 14 October 2015). Yin, L. K. (2011) Learning Journey… Available at: http://lohky.blogspot.com.au/2011/10/apple-learning-journey-nanyang-girls.html (Accessed: 14 October 2015). (no date) Available at: https://flatteningtheworld.files.wordpress.com/2015/10/how-much-are-the-the-time-achangin_502911b9b2615_w587.jpg (Accessed: 21 October 2015).